Persian Cat The Persian is the "show piece" of the Cat Fancy! Their long flowing coats and large expressive eyes melt the hearts of most spectators. They have a gentle, clown like nature which is endearing and a distinctive face. 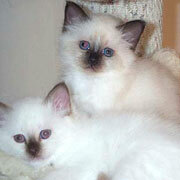 Birman Cat The Birman, sometimes called the Sacred Cat of Burma is an easy going breed of striking good looks. Blue eyes and a colour point fur colour with distinctive white feet called Gloves and Gauntlets. They are gentle cats that love to be around their owner. Burmese Cat Burmese are one of Australia'smost popular breeds of pedigree cats and with their striking looks, muscular bodies and strong personalities you can see why. They just love people and being a part of a family. They have sleek coats and gold eyes. Somali Cat The Somali is the long haired relative to the Abyssinian. They have a rich ticked tabby pattern and a very alert, active personality matched by their alert expression. Rarely still they are fast and always on the ball! 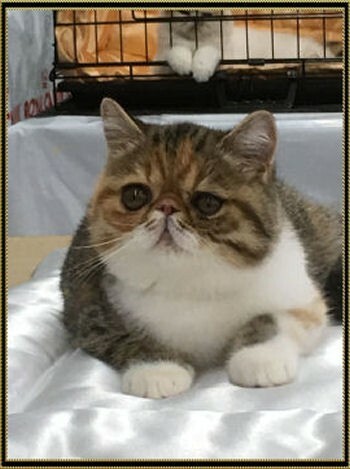 British Cat British Shorthairs are known for their distinctive dense, thick, crisp coat and their well rounded shape with deep gold eyes. They are not an active breed compared to many others and like their independence, so are happy to amuse themselves. 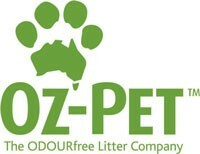 Looking for a Pedigree Breeder? 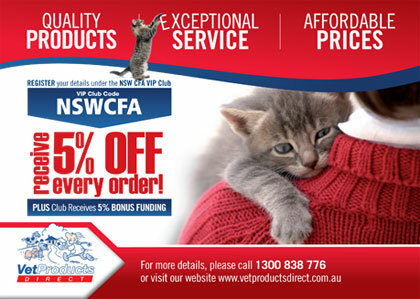 Our NSWCFA members who also breed pedigree cats are bound to abide by the Code of Ethics as well as NSW State legislation.This means your kitten will leave to its new home no earlier than 10 weeks of age and will be micro-chipped and vaccinated. 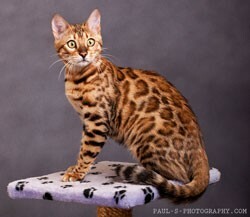 For me Bengals are an exciting progressive breed, they have come such a long way, in such a short time, I can only imagine the quality of the cats in 10 or 20 years. 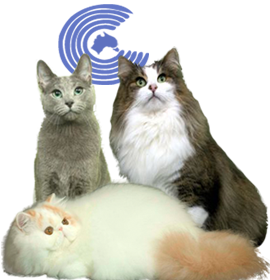 Our Association promotes responsible pet ownership and all members are required to adhere to State legislation when homing their cats or kittens. 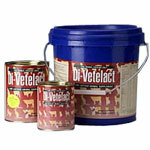 It is important that cats are not overbred and that kittens born be selectively placed into caring, permanent homes. Sandra Dukes will not be attending any shows until June 2019 and we are in need of photos at shows from our members.